View the full programme at hayfestival.org. 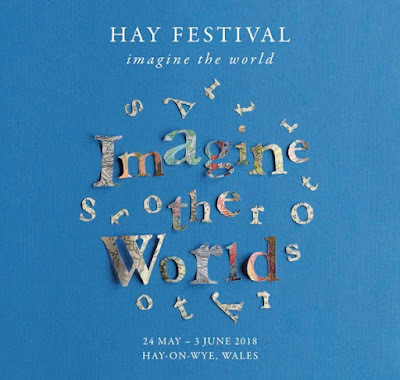 Booking opens today to Friends of Hay Festival online or via 01497 822 629, public booking opens Thursday 29 March. Featuring over 600 of the world's greatest writers, global policy makers, pioneers and innovators in 800 events across 11 days, the festival showcases the latest ideas in the arts, sciences and current affairs, alongside a rich schedule of music, comedy and entertainment for all ages. A galaxy of literary stars launch new work, while the biggest ever HAYDAYS and #HAYYA programmes give young readers the opportunity to meet their heroes and get creative. “We are facing alarming insecurities and crises. We need to approach the complexity of those challenges with all the hope and courage we can muster. We need to hear the wisest voices, not the loudest. And we need the gift that novelists and poets give - the ability to imagine the world from someone else’s point of view. There has never been a time when we were in such urgent need of empathy. It's a time for serious thought and serious work, and so too, it's a time to laugh and a time to dance and a time to feast. 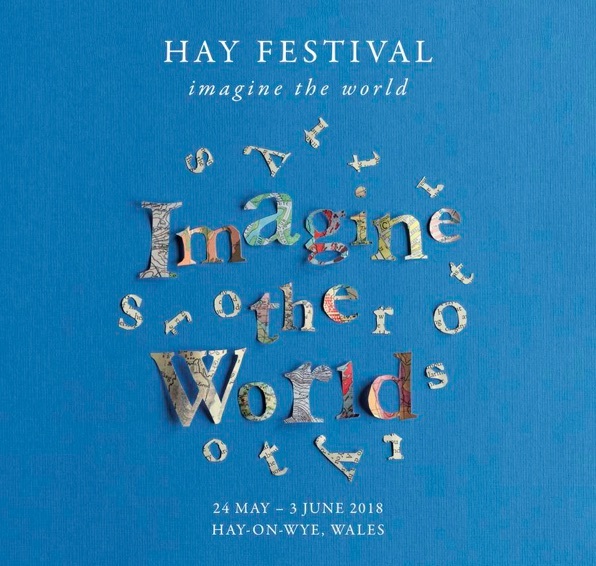 Let's do it together” - Peter Florence, director of Hay Festival. The Festival site is free to enter, with ticketed events in 10 tented venues, plus a range of areas to explore, including the Festival Bookshop; the HAYDAYS courtyard; the Hay Festival Wild Garden; creative workshops in the Make and Take Tent, the Scribblers Hut, The Cube and the Mess Tent; and market stalls, cafés and restaurants. The Festival runs a wide programme of education work supporting coming generations of writers and culturally hungry audiences of all ages - Hay Festival Wales opens with two free Schools Days of programming, the Beacons Project gives students aged 16-18 the chance to learn from internationally acclaimed writers, students in tertiary education can get free tickets, and Hay Compass is a special space on site to learn and discover, with free access to inspiring speakers. Award-winning novelists discuss their work, including Margaret Atwood, Ian McEwan, Alexander McCall Smith, Asne Seierstad, Anuradha Roy, Colm Tóibín, Jilly Cooper, Andre Aciman, Maggie O’Farrell, Rose Tremain, Deborah Levy, Salman Rushdie, Marian Keyes, Lionel Shriver, Kamila Shamsie, Alan Hollinghurst, Jojo Moyes, Rachel Cusk, Jack Zipes, Philip Pullman, Gail Honeyman, Ruth Jones, Simon Mayo, Juan Gabriel Vasquez and Javier Cercas. Poets Tishani Doshi, Owen Sheers and Mererid Hopwood join Margaret Atwood in a special commemoration of Armistice 100. Conversations around internationalism, democracy and peacekeeping feature world leaders, policy makers and award-winning journalists, including: political strategist Donna Brazile, General Secretary of the French Ministry of Foreign Affairs Maurice Gourdault Montagne, Fire and Fury author Michael Wolff, Sarah Churchwell, A. C. Grayling, Gordon Brown, David Milliband, the British Army’s Adrian Bradshaw, former Israeli Prime Minister Ehud Barak, Shashi Tharoor and peace builder Scilla Elworthy. Gender equality and race dominate conversations on Britain today that include Akala, Afua Hirsch, Rose McGowan, James O’Brien, Laura Bates, Helen Pankhurst, Germaine Greer and Robert Webb. Hay on Earth looks at innovations in sustainability and the future of farming, with Secretary of State for Environment, Food and Rural Affairs Michael Gove and Google’s sustainability lead Kate Brandt. Meanwhile, nature and travel writers take audiences around the world, including Monty Don, Horatio Clare, Patrick Barkham, and adventurers Bear Grylls, Ursula Martin, Andy Kirkpartick and Chris Bonnington. Stars of stage and screen appear including Andrew Davies (Les Miserables), actors Jim Broadbent, Simon Russell Beale and an all-star Letters Live cast. There’s comedy from Russell Kane, Shazia Mirza, David Baddiel, Dara O’Briain and Bridget Christie, with music from Jake Bugg, Laura Mvula, Imelda May, Les Amazones d'Afrique and Gabrielle Aplin, while Goldie presents his memoir All Things Remembered. HAYDAYS and #HAYYA events feature Ed Vere, Michael Morpurgo, Judith Kerr, David Walliams, Beverley Naidoo, Jacqueline Wilson, Cressida Cowell, Lucy Worsley, Lauren Child, Katherine Rundell, Juno Dawson, Holly Bourne, Patrick Ness, Patrice Lawrence and Alex Wheatle. Workshops blend creative writing, illustration, textiles, coding, dance, drumming and animation, while RSPB Cymru and Rooted Forest School take young people into the great outdoors.